I think I just died and went to dessert heaven! 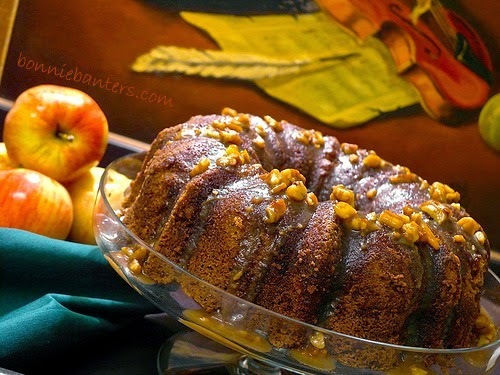 This cake is not only perfect for Fall..but it looks so sticky, gooey moist and wonderful, not to mention, gorgeous! That butter pecan glaze is calling my name!! I love apple cake, but the last one I made didn't turn out the best. I will have to give your recipe a try--it looks fantastic! 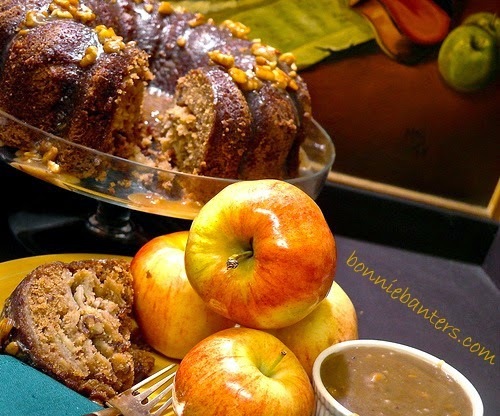 What a perfect recipe for Apple Month and Georgia Pecan Month! I'm hooked just looking at the picture! Congrats on your son's upcoming marriage! Congrats!!! How exicitng and I love that pic!! I love anything sweet that includes apples, thanks for sharing! Thanks all..Your comments and good wishes mean a lot to me! We're so happy about the pending wedding! Congratulations to your son on his engagement. He picked a beautiful spot in Ireland to pop the question. Hope he goes back for the honeymoon!!! Hi Mairead! While preparing this post, I discovered that Slea Head Beach is one of the top five locations in the world to propose...Ireland is such a beautiful country! I truly enjoy your blog about Ireland, it's scenery and it's food! What fun, fun news! And what a gorgeous setting for a proposal!! Congratulations to your whole family. Hi Lizzy! Thank you for your good wishes! Hope you try the cake...it's haunting! Thank you for the opportunity to share the Red Cross badge, and I also hope it helps to raise funds! Congratulations! Such a lovely photo of the happy couple!